Your ideas are like diamonds. They only need a little polishing. Whether you are a start-up or an enterprise business, our expertise in 360 mobility solutions and digital branding will turn your ideas into online success. We are always one step ahead of the market curve. From web development and Ecommerce ecosystems to mobile application development techniques, we stay on top of the latest advancements in the IT industry and leverage emerging technology for our web and mobile applications projects. 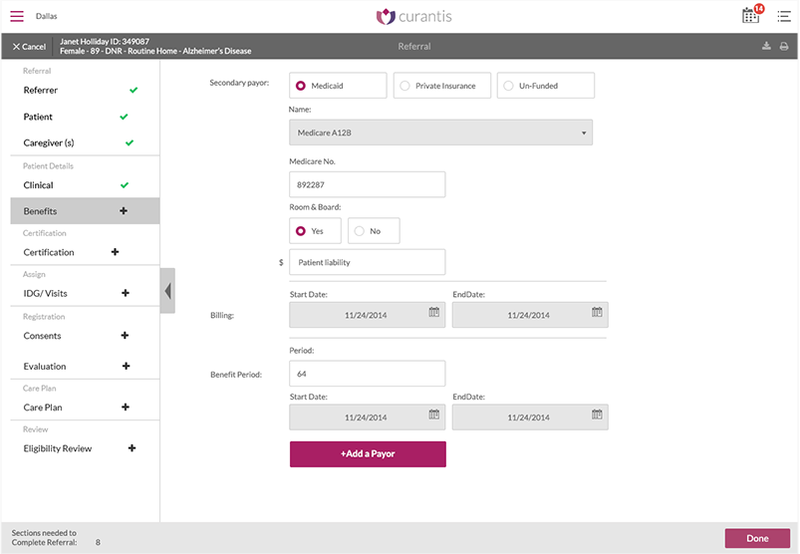 This unique mobile application for Curantis Solutions provides hospice caregivers the tools and support they require to provide a high-quality patient experience. The MUV web application is hands-down the most advanced platform that any ground transportation company has to offer its customers. The platform connects all of the tools and data required to provide the best ground travel experience possible. With this genius application, you can just walk into your office and start your work with no input required by the end user. Validation We help our clients build great products through the process of brainstorming together as partners to find the ideal solutions for their needs. Rapid agile development We stick to the principles of agile software development and divide the project into short sprints, so that we can walk you through a new version of the QA tested app every two weeks. Product strategy At Cooperative Computing we design an in-depth strategy that targets your project goals, timelines and budget. Deployment and grow We consider your project as our top most priority and to make sure that everything runs smoothly and without any glitches when it goes live.